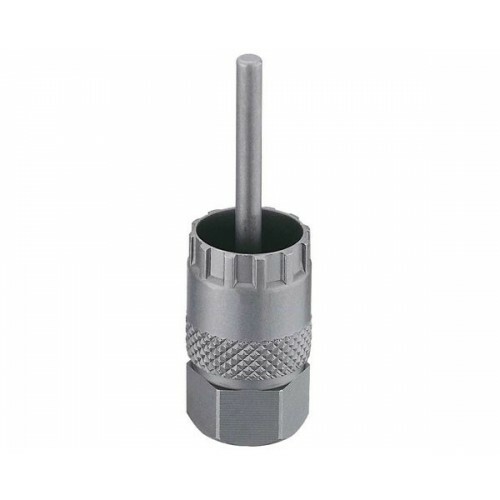 Cassette sprocket lockring tool for Shimano HG and IG cassettes made of durable Chrome-Vanadium (CR-V) steel. The guide pin prevents the tool from slipping out of the spline of the cassette lockring. 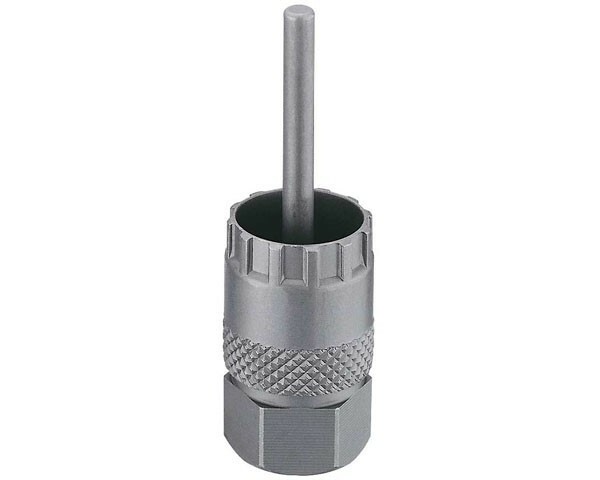 For use with 1/2" driver wrench or 21mm spanner.